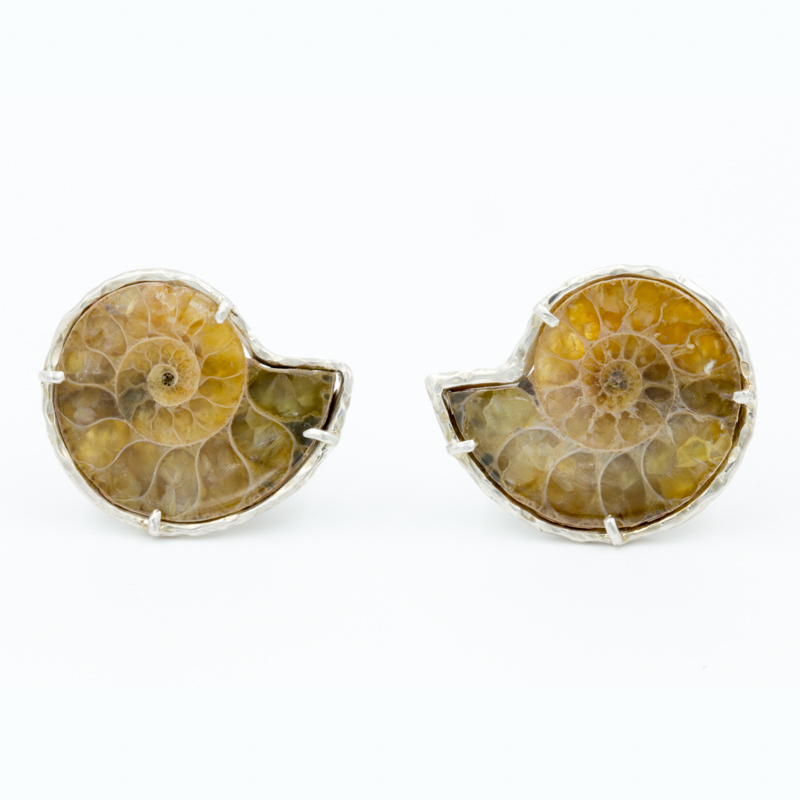 A QE original design: Agatized ammonite shells, book-cut from a single shell, approx 29x25mm. Captured in sterling silver frames with T-backs. Price for pair includes shipping. Get tips on how to care for & style jewelery. Early access to new designs & deals. Quenton Elliott Jewelers is available by appointment Monday - Friday from 10am-6pm. Call (713) 528-1641 to schedule your appointment. Interested in buying jewelry? Read our shipping and return policy. Quenton Elliott Jewelers © 2019. All Rights Reserved.